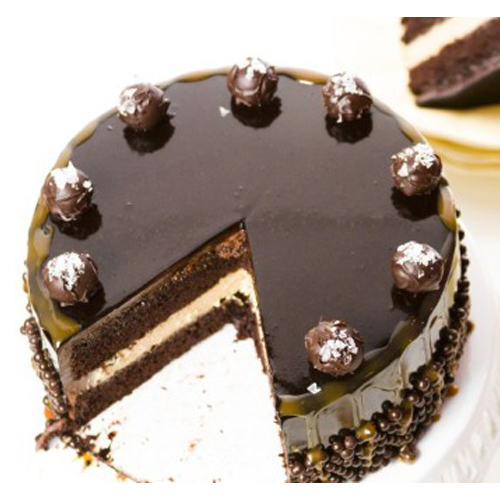 Product Consists :1/2 Kg Round Shape Dark Chocolate Cake (Cake Decorations will be made as per availability ingredients it makes a little bit difference as per cake Image). Wish someone loads of happiness and love on their special day. 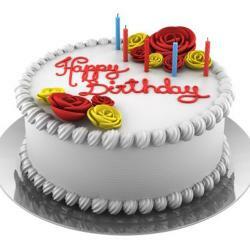 The cake is a delicacy that nobody must miss. 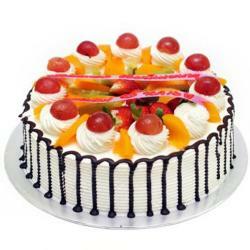 Every piece of this delicious delight is like tasting a serving from heaven. Here is a yummy delicious chocolate cake beautifully outlined with chocolate balls and white cream in the middle of the bread . The cake has been given an awesome designer look with the cream and chocolate balls on it. 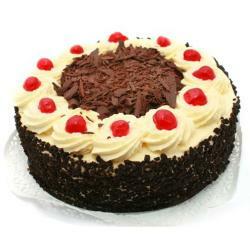 Surprise your loved one in a special way with a lip smacking chocolate cake that they are going to love for sure. 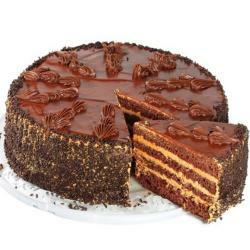 Get this present for your love today from Giftacrossindia.com to get the happiest to thanks with big smile.Product Includes: 1/2 Kg Round Shape Dark Chocolate Cake.